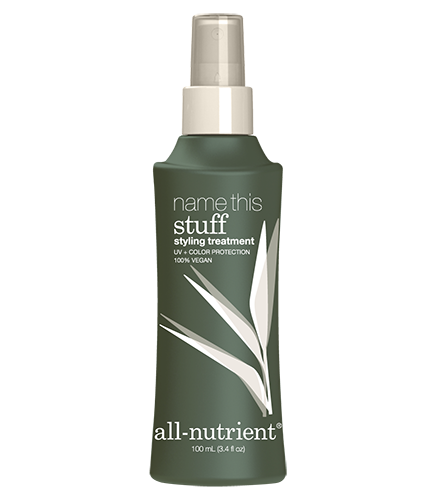 Name This Stuff™ softens, relaxes and smoothes the hair for a straight, sleek finish. This styling treatment seals split ends and locks in color to ensure long-lasting results. With a cumulative keratin effect, hair becomes frizz-free with healthy, radiant shine. Lightly spray onto clean damp hair. Comb through to distribute evenly. Blow dry andiron as usual.